Why not grab some friends and get creative, with some lights and an umbrella or two and join us, for the assembly of the procession? Illuminated floats and umbrellas will assemble on Meadow Road. If driving a vehicle, please enter from the Hall Road end. There are three classes for illuminated floats, including one for decorated, illuminated umbrellas! Assembly of Illuminated Procession - The Meadow and Meadow Road. 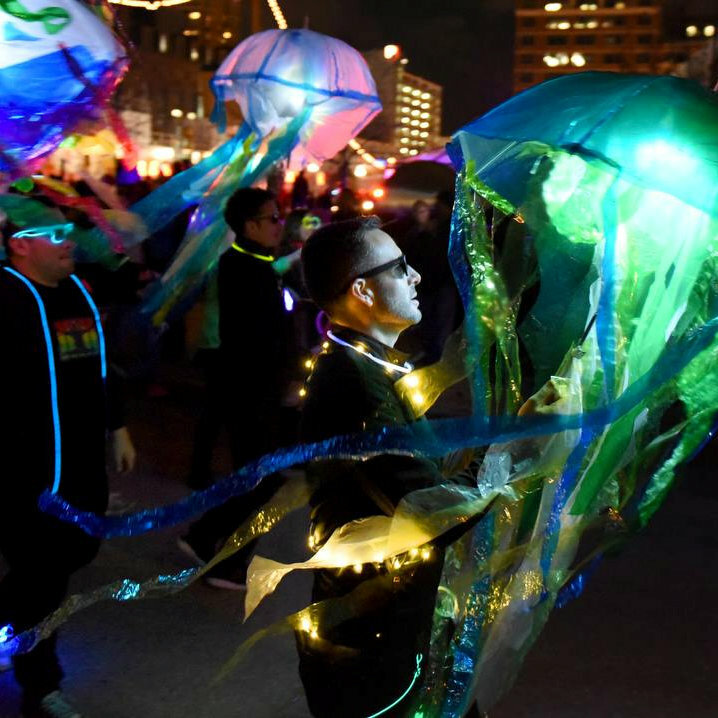 Procession & Parade of Illuminated Umbrellas - Why not grab some friends and get creative, with some lights and an umbrella or two and join us, for the assembly of the procession?